Mukumba, C., Musiwa, M. 2016. Civil society role in SADC integration: A missed opportunity. GREAT Insights Magazine, Volume 5, Issue 4. July/August 2016. Although the Southern African Development Community has made numerous statements about the importance of civil society engagement in its processes, the reality on the ground indicates that there is still much to be done to improve this relationship. The Southern African Development Community (SADC) regional economic community was established in 1992 with the commitment to ‘regional integration and poverty eradication within Southern Africa through economic development and ensuring peace and security’. Since its establishment, statements about the importance of civil society in these processes has littered various speeches and declarations, however, in spite of these commitments, civil society organisation (CSO) engagement with the regional integration agenda has remained limited. In a people-centred society, the importance of CSOs lies in their ability to bridge the gap between the state and the citizen. Research has shown that both the state and citizens benefit when a dense web of CSOs work to mediate this relationship. This benefit however is not only confined to the national level; the work of CSOs is increasingly beginning to extend far beyond national borders and has the capacity to yield even greater results when allowed to operate across country borders. Although SADC’s engagement with CSOs tends to be fraught with difficulties, SADC does have a number of entry points for CSO engagement with SADC at both the regional and national levels. At the regional level, SADC works primarily through two channels: the Southern Africa Development Community Council of Non Governmental Organisations (SADC-CNGO) and the SADC Civil Society Forum; and at the national level, SADC engages with the SADC national committees (SNC). The SADC-CNGO was formed in 1998 to facilitate meaningful engagement of the people in the region with the SADC Secretariat. The SADC-CNGO has a memorandum of cooperation with the SADC Secretariat and aims to facilitate civil society contribution to regional integration for sustainable people-centred development, open and accountable governance and participatory democracy. The SADC-CNGO is recognised by the SADC Secretariat as its link with civil society in SADC, however there are several parallel CSO formations independent from the SADC-CNGO such as the Southern African Treatment Access Movement (SATAMU) and the Southern African Poverty Network that also serve this function. Additionally, the SADC-CNGO also has some internal deficiencies. In spite of the efforts of the SADC CNGO to build a structure of civil society interaction with regional policy and institutional frameworks, structured CSO interaction in SADC is lacking. The second avenue that SADC has for CSOs at the regional level is the SADC Civil Society Forum. This is held during the same time as the Heads of States Summit in an effort to enable CSO to provide input into summit resolutions. It provides space for NGOs, donors, churches, trade unions, social movements and other civil societies to act collaboratively on a wide range of development issues affecting the region. Each Member State shall create a SADC National Committee, which has to consist of key stakeholders which should a) provide input at the national level in the formulation of SADC policies, strategies and programmes of action; b) coordinate and oversee, at the national level, implementation of SADC programmes of action; c) initiate projects and issue papers as an input to the preparation of the Regional Indicative Strategic Development Plan; and d) create a national steering committee, sub-committees and technical committees. The key stakeholders referred to in this article include government actors, private sector and civil society including non-governmental organisations, however, these SADC National Committees face a number of challenges. 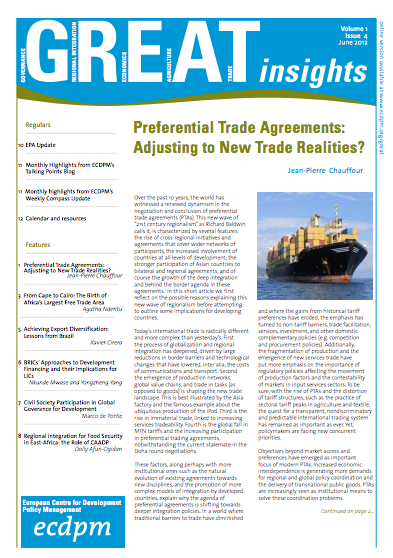 In most of the member states, there tends to be a low level of awareness of SNCs. While regional NGOs have a general knowledge of possible avenues to engage SADC, there is a general lack of awareness about the existence of the SNCs. The SNC Secretariats also tend to have limited capacities: SNC officials often combine their SNC responsibilities with their day-to-day responsibilities in government and often, these positions are occupied by single individuals. Furthermore, in many cases, the institutional relationship between the various sub-committees and the SNC desk or Secretariat is poor and as such the communication and co-ordination between the SADC Secretariat and the SNCs is low. The other important issue is that SNCs seem to compete with other government initiated consultative forums in other areas. The issue of integration therefore needs to be strategically linked to the government’s overall planning. As structures, there is also a lack of clarity in terms of standardised requirements for the operating of SNCs such as who chairs SNC sub-committees and how often they should meet. As a result, SNC meetings tend to be on an ad hoc basis. There is a need to establish a SADC standard for setting up SNC structures, incorporating guidelines, work procedures, and criteria for membership that is linked to the regional framework for public participation. Funding is also another big challenge for SNCs as governments are expected to fund their respective SNCs. In order to address this, alternative funding could be explored for example where participation is encouraged and stakeholders begin to see benefits in terms of policy influence, it is possible that stakeholders such as business organisations may provide additional sources of funding. Generally, CSOs have struggled to participate in formal SADC-led-regionalism; this is in part due to the deeply rooted statism in Southern Africa that tends to not place a high level of importance on non-state actor engagement. 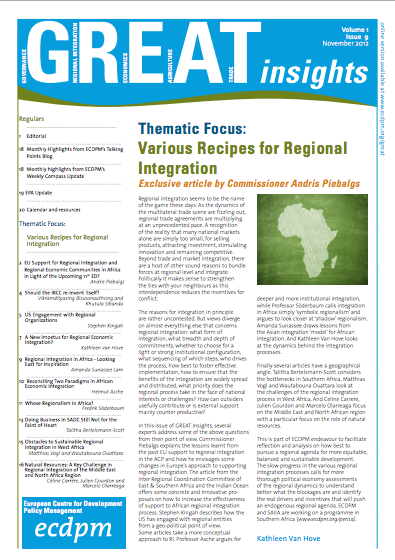 As a result, CSOs have been largely marginalised in SADC regional integration processes, however, if SADC hopes to ensure that its regional integration is inclusive, more effort needs to be undertaken to ensure a participatory approach. Strengthening existing institutions would be the first step in this direction. 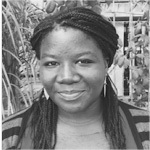 Chenai Mukumba is Centre Coordinator at CUTS International, Lusaka. 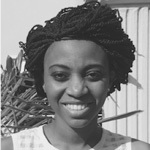 Muntanga Musiwa is Assistant Programme Officer at CUTS International, Lusaka. 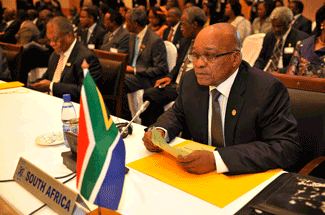 Photo: President Jacob Zuma during the 33rd Ordinary SADC Heads of State and Government Summit. Credits: GCIS, flickr.com.